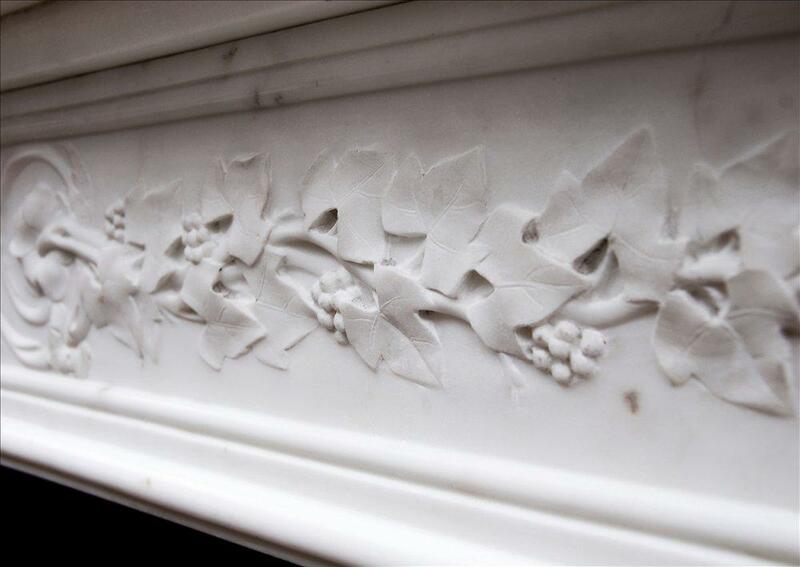 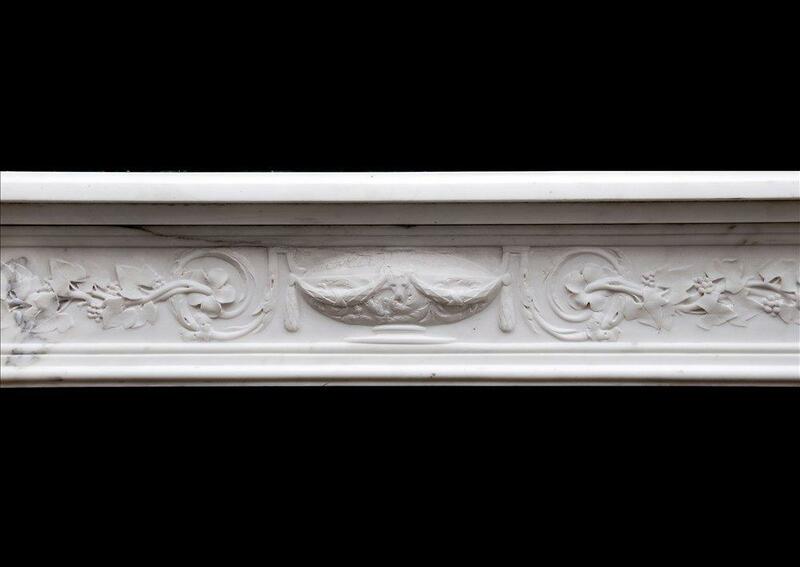 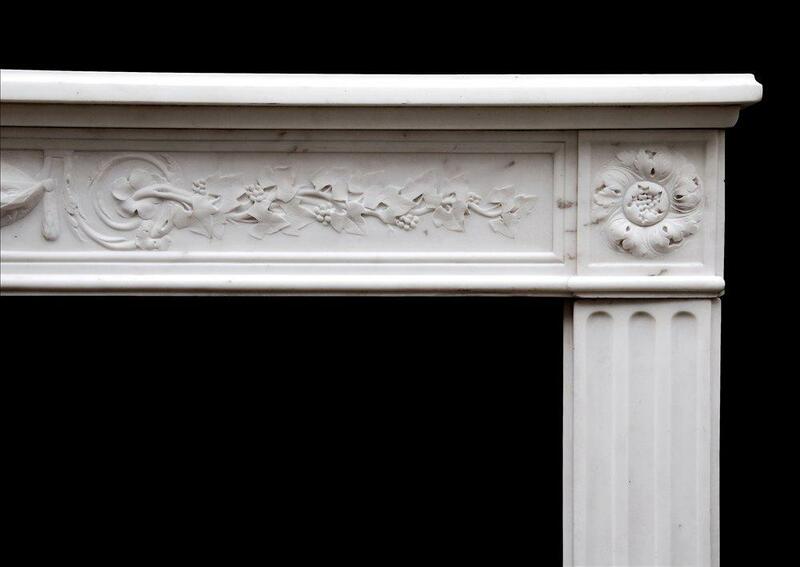 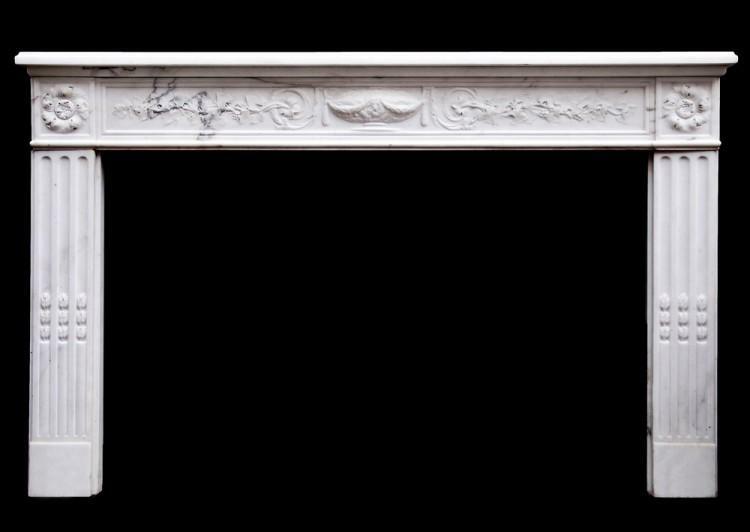 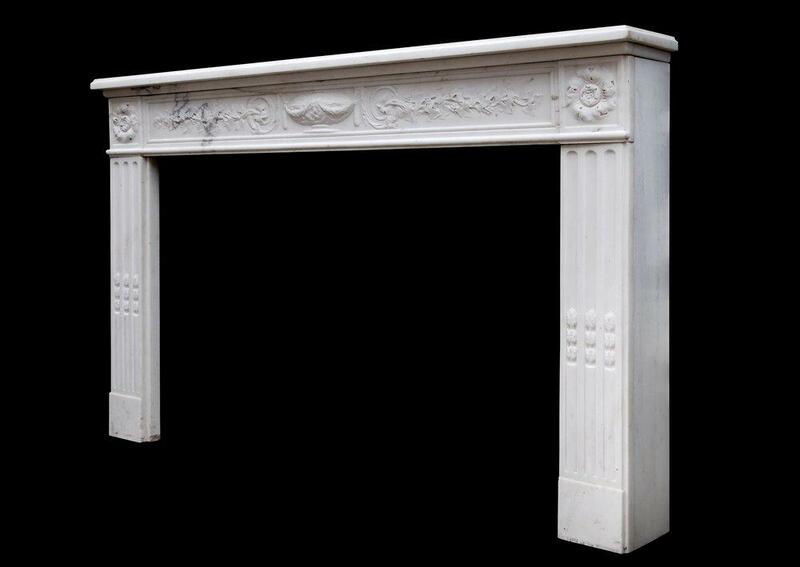 A fine quality 18th century French Louis XVI Statuary marble fireplace, the frieze delicately carved with running frieze of foliage and berries with urn centre. 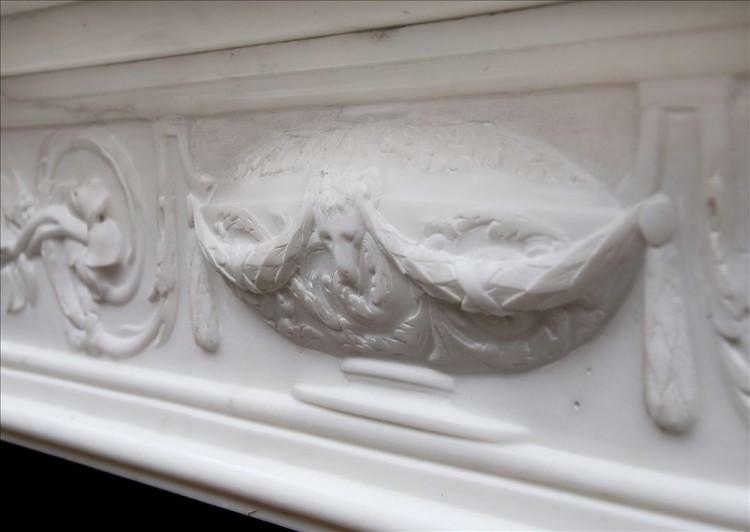 Fluted jambs with carved husks, surmounted by paterae. 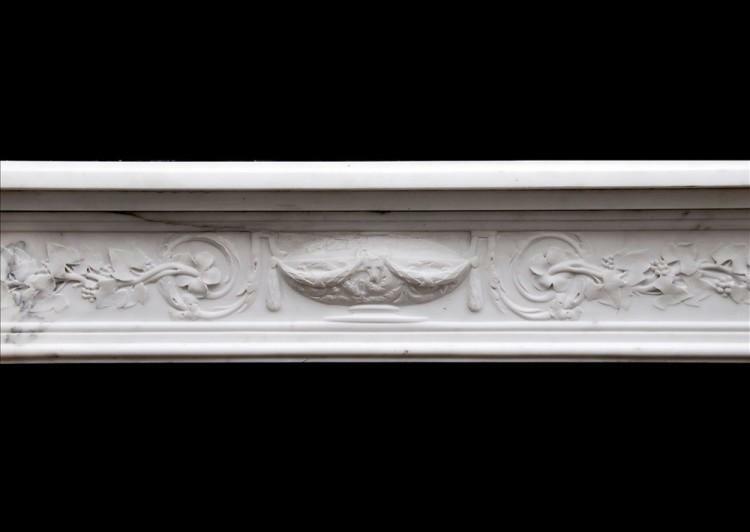 Square moulded shelf.